Spotlighting The 2010 Kia Forte Koup SX | Bexley Motorcar Co. 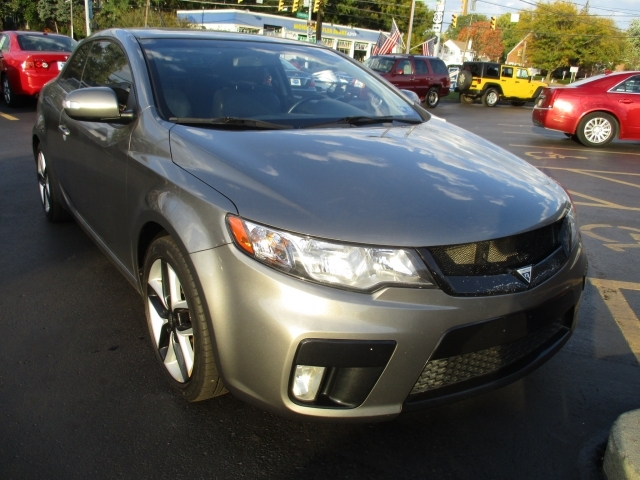 This amazing 2010 Kia Forte Koup SX is one amazing car. With under 100,000 miles on this Kia, there is a ton of life left. You will be amazed about how many features fit in this great compact car. Starting with the satellite radio this Kia has everything you could want. With heated front seats and a sunroof the interior of this Forte Koup will give you the feeling of luxury. The Whole car is at your command with the leather wrapped steering wheel, answer you phone calls, change the radio station, and set the cruise all with a touch of a button. This Forte Koup SX comes with a 173 hp 2.4L 4cyl engine is paired with a great 6-speed manual transmission. This pairing will give you a great driving experience. You will feel like you are driving a sports cars all the time. With the Copperhead Metallic paint covering the stylish exterior of this Kia, you will turn heads everywhere you drive. This is one amazing Kia. Stop by our great location to see this Kia Forte Koup SX and all of our other great options.